The Ministry of Foreign Affairs of the Republic of Abkhazia has released a statement addressing the reactions of some members of the international community to the recent 2012 Parliamentary Elections in Abkhazia. Upon completion of the first round of voting in the elections to the People’s Assembly – Parliament of the Republic of Abkhazia - and the current time, some countries and organizations have declared the 2012 Parliamentary elections in Abkhazia “illegitimate”. Such statements have been made by NATO, the US Department of State and the US Embassy in Georgia, the Delegation of the EU to Georgia, PACE co-reporters on Georgia and the Foreign Ministries of Georgia, Latvia, Lithuania, Estonia, Poland and Azerbaijan. In this regard the Ministry of Foreign Affairs of the Republic of Abkhazia emphasizes that the countries and organizations which declared the 2012 Parliamentary Elections in Abkhazia “illegitimate” did not see fit to support their conclusions by any legal or factual evidence. Such conclusions could have been made only from direct observation of preparation and conduct of voting in the elections to the People’s Assembly of the Republic of Abkhazia. However, none of the above-mentioned countries and organizations sent their observers here, though the Central Election Commission of Abkhazia would have definitely provided them everything necessary for quality monitoring of the voting process. 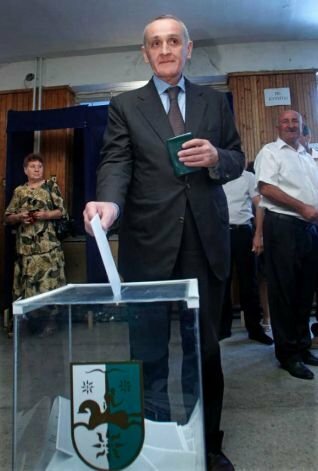 It should be noted, that all observers, including the ones representing UN-member states – Russia, Venezuela, Nicaragua and Tuvalu, as well as the European Parliament and international non-governmental organizations confirmed that the 2012 Parliamentary elections in Abkhazia met all international democratic standards. Abkhazia has already held several transparent Presidential and Parliamentary elections and established a democratic system. The people of Abkhazia recognized the legitimacy of voting procedures in their state long ago. The Ministry of Foreign Affairs of the Republic of Abkhazia considers the statements about “illegitimacy” of the elections to the People’s Assembly of the Republic of Abkhazia as unfair, politically motivated and hostile to the free choice of the people of Abkhazia. We denounce the recurrent attempts of some countries and organizations to dismiss the successful development of democratic institutions and processes in the Republic of Abkhazia. The double standards and political bias demonstrated by the above-mentioned countries and organizations can neither benefit the democratic developments in the region nor increase confidence in the participation of some of these actors in post-conflict resolution processes in the South Caucasus.